This past year saw the passing of a number of individuals who participated in the oldest and greatest sport in some capacity, whether that was decades ago … or if they were still active. 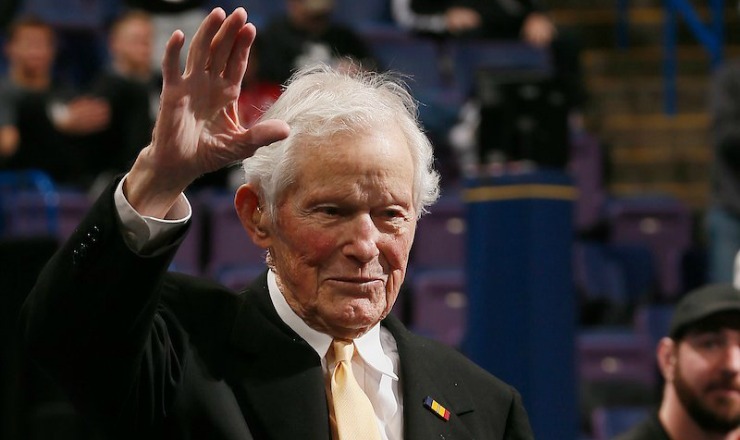 InterMat paid tribute to a number of accomplished former wrestlers in 2018, including Vern Jones, 93, three-time conference champ for Stanford who went on to become a philanthropist … Art Helf, 86, 1953 NCAA All-American for Franklin & Marshall University (Pennsylvania) … Dr. Ken Faust, 85, Pa. state wrestling champ, four-time EIWA conference championships medalist for Lehigh, and groundbreaking eye surgeon … Werner Holzer, 81, University of Illinois Big Ten champ and NCAA All-American who was instrumental in the establishment of the U.S. Wrestling Federation … Bob Mayo, 75, early 1960s Iowa state champ for Grinnell High who later became a professional rodeo champion … Randy Jeffries, 67, Arizona State mat alum who was serving as a volunteer coach at Durant (Okla.) High at time of death … and George Kovach, 53, Drexel wrestler who was a three-time East Coast Conference heavyweight champ in the mid-1980s. In addition, two members of the Cornell College Dream Team of 1947 that won NCAA team title that year left us in 2018. Al Partin, 96, heavyweight wrestler at Cornell who went on to coach at University of Nebraska-Lincoln and at Knox College in Illinois, died in mid-October … while Lowell Lange, a three-time NCAA wrestling champ for the Purple who went on coach the now-defunct varsity mat program at Georgia Tech, passed away Thanksgiving week at age 90. What’s more, three members of the Penn State wrestling squad of the early 1950s passed away within weeks of each other in fall 2018, including Don Maurey, 88, who had been was a Pennsylvania state champ and later was an EIWA champ and NCAA All-American for the Nittany Lions … along with twin brothers Don and Doug Frey (who are listed below among the college coaches). Worthy of special mention is Joy Davids, 85, first woman to be welcomed into the Michigan chapter of the National Wrestling Hall of Fame for her decades of service to the sport. Among her accomplishments: being among to establish a youth wrestling club, and managing a number of major youth wrestling tournaments (along with her husband Lee). Then there’s Stanley Henson, M.D., three-time NCAA champion wrestler for legendary coach Ed Gallagher at Oklahoma State in the late 1930s, who, at the time of his passing in February at age 101, was believed to be the eldest living collegiate champion in any sport. Henson went on to coach at the U.S. Naval Academy, then became a medical doctor, surgeon and sports medicine pioneer in Colorado for decades. Henson was welcomed into the National Wrestling Hall of Fame in 1978, and, in 2017, was presented with the Gallagher Award, presented each year to an Oklahoma State alumnus who exemplifies the spirit and leadership eminent in the tradition of champions. One individual well-known beyond amateur wrestling was Bill Fralic, 56, who died in December after a long cancer battle. Before making a name for himself as an offensive lineman — first for University of Pittsburgh, then the Atlanta Falcons and Detroit Lions (as well as dabbling in the WWE) — Fralic was a WPIAL (Western Pennsylvania Interscholastic Athletic League) heavyweight champ who also wrestled at the PIAA (Pennsylvania Interscholastic Athletic Association) state championships for Penn Hills High in suburban Pittsburgh. In the past 12 months, InterMat reported on the passing of more than a dozen individuals who served as high school wrestling coaches, active and retired, including Bob Darrah, 89, incredibly successful coach at three Iowa high schools and at Iowa’s Simpson College despite never having wrestled … Bob Siddens, 93, Waterloo West High coach (mentored Dan Gable, among others) who had wrestled at Northern Iowa in the late 1940s and served as mat official … Mike Milkovich, 96, who built the Maple Heights High program to one of the premier programs in Ohio and beyond … Stan Mousetis, 88, four-decade prep coach in Pennsylvania who was an EIWA champ at Franklin & Marshall … Gene Bowman, 88, Pennsylvania high school coach and co-founder of Dapper Dan tournament … Frank Vulcano, Sr., 89, Chartiers High (Pennsylvania) coach, Lock Haven wrestler and mat official … Fred Waltermire, 76, long-time coach of storied Perry High mat program (and Oklahoma Sooner wrestler) … Ken Pagach, 76, who headed up New Jersey’s Edison High program for three decades …Gene Doyle, 77, 47-year coach at three Iowa high schools (including nearly 40 years at Cedar Falls) … Mike “Biggie” Smith, 71, Newport High (Pa.) wrestler who returned to his alma mater as coach, athletic director at mat official … Alford Eugene Knight, 71, long-time Oklahoma City high school coach … Joe Bena, 79, who coached at high schools in upstate New York for a half-century … Barry Clark, 72, founding coach of varsity wrestling program at Middletown High in Rhode Island … Mark Jacovittee, 68, Maryland high school coach for more than 50 years … Jim Day, 64, Berlin High (Conn.) coach for nearly four decades … Dave Burak, 58, long-time coach at Elmira (N.Y.) schools … Vincent Altebrando, 51, coach at Walt Whitman High on Long Island … Dan Youngblood, 51, coach at his prep alma mater, Old Mill High in Maryland … J.J. Thaw, 44, assistant coach at Norton High in Kansas … Kevin Gilligan, 40, Maryland high school coach … Chad Jones, 39, head coach at Hayden High in Colorado … Ed Piccola, 36, New Jersey wrestling coach at Buxton Athletic Training Center irun by Jeff Buxton … and Nick Nosbisch, 29, Holly Springs High (N.C.) head coach. 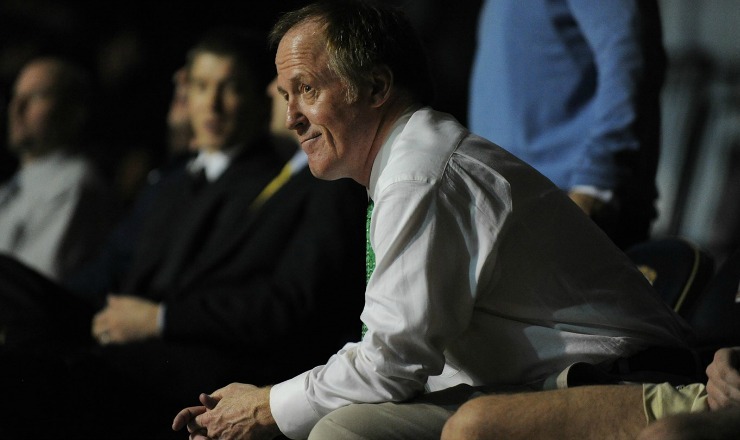 In addition to the aforementioned prep coaches, a number of coaches with collegiate coaching experience left us, including Mike Duroe, 63, Cornell College coach for 13 seasons and six-time Olympic freestyle coaching staff member … Vaughan Hitchcock, 84, former Cal Poly head coach … James White, 84, head coach at Washington & Jefferson College in Pennsylvania for more than 30 years … Tony DeCarlo, 77, wrestling coach for nearly 50 years at John Carroll University in Cleveland … Joe Keeton, 77, former head coach at University of Missouri-Rolla for nearly two decades … and Bill Racich, head coach at Pennsylvania’s Ursinus College who tallied 540 wins in his career. University of Pittsburgh lost two former head wrestling coaches this year: Rande Stottlemyer, 62, three-time All-American wrestler at Pitt who became Panthers head coach from 1979-2013 … and Dave Johnson, 82, three-time EIWA champ at Pitt who became the school’s head coach in the mid-1960s. Then there are the Frey brothers … twins who were Penn State mat alums who later went on to collegiate coaching careers in Philadelphia, and died within weeks of each other. Don Frey, 87, was a two-time NCAA All-American for the Nittany Lions who later became head wrestling coach and athletic trainer at University of Pennsylvania … and Don’s twin brother Doug Frey, a New Jersey high school state champ, member of the Penn State team that won the 1953 NCAA team title in their home gym, and long-time head coach at Drexel University. A handful of former wrestlers with military service were taken from us in 2018, including Sen. John McCain, 81, R-Arizona, who, prior to entering politics was a Navy aviator shot down and captured by North Vietnam in 1967 and held prisoner for 5 1/2 years, had wrestled at Episcopal High School (Virginia) and at the U.S. Naval Academy … Army Sgt. First Class Eric Michael Emond, 39, wrestling alum at BMC Durfee High (Mass. ), killed by explosive device serving in Afghanistan … Spc. Javion Shavonte Sullivan, 24, former wrestler at Fort Mill High (S.C.), killed in a non-combat accident in Iraq … and Marine Cpl. 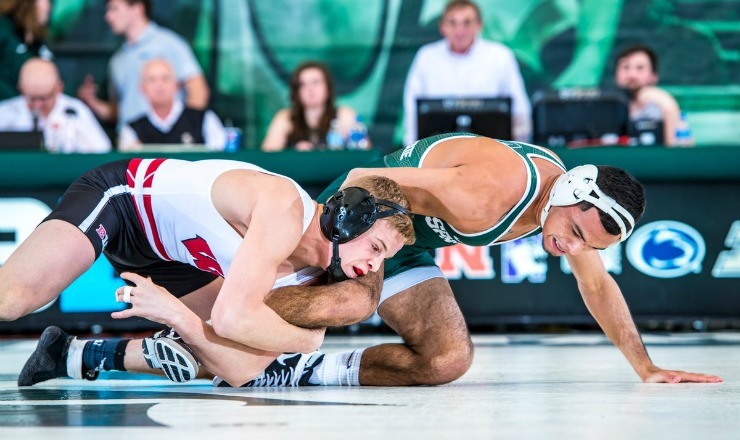 Donavon Macura, 20, three-time Montana state qualifier, died in Japan while in training. Nicholas Clark, 29, a New York State trooper who was killed in the line of duty while answering a domestic violence call, had been a N.Y. state wrestling champ for Canisteo-Greenwood High. Two men with coaching backgrounds were killed protecting others at much-publicized mass shooting incidents. In February, Chris Hixon, 49, wrestling coach and athletic director at Marjory Stoneman Douglas High, was among 17 killed at the south Florida school … and Sean Adler, 48, former assistant coach at Royal High School in Simi Valley, Calif. was among 12 shot to death at the Borderline Bar & Grill in Thousand Oaks where he worked as a bouncer. 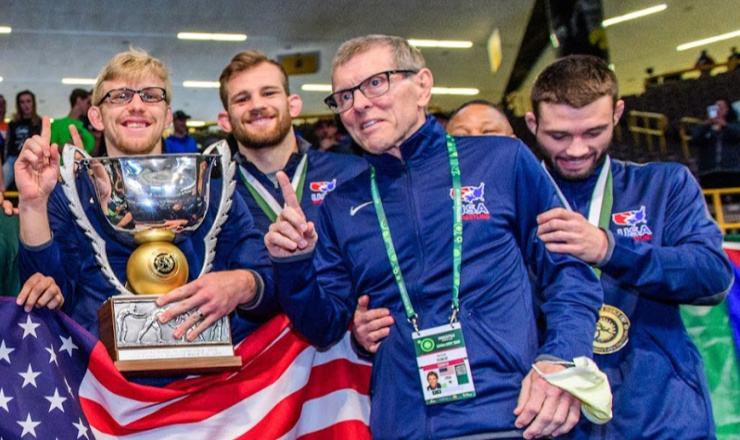 In 2018, InterMat paid tribute to a handful of wrestlers who earned distinction by competing in the Olympics. Bill Smith, 89, 1952 U.S. Olympic gold medalist in freestyle, two-time NCAA champ at University of Northern Iowa, and coach at San Francisco’s Olympic Club, as well as at high schools and colleges in California … Pat Lovell, 81, Cal Poly wrestling champ and member of 1964 Olympic U.S. Greco-Roman squad … Bob Pickens, 75, first African-American to wrestle on a U.S. Olympic Greco team at 1964 Tokyo Games … Soslan Andrivev, 66, two-time Olympic gold medalist in men’s freestyle for Soviets at 1976 and 1980 Games … and Frank Andersson, 62, 1984 Olympic bronze medalist in Greco-Roman for Sweden who later became a professional wrestler. Among the wrestlers past and present who were taken in the prime of life were Larry Quisel, 41, two-time NCAA All-American wrestler (and 2000 NCAA finalist) for the now-defunct program at Boise State, who died of natural causes while on a hunting trip … Donnie Morgan, 38, Lindenwood University-St. Charles (Mo.) mat alum who lost his battle with leukemia … Keith Cupp, 35, 2005 NAIA (National Association of Intercollegiate Athletics) 174-pound champ for Cumberland University of Tennessee, the school’s first national champ in any sport … JoeQuan Richardson, 24, a senior at Central Baptist College in Arkansas … Curtis LeMair, 18, freshman wrestler at South Dakota’s Northern State University and past InterMat Classic champ, who died of a previously undetected heart defect … Davontae Randall, 21, former New Jersey state championships placer for Paulsboro High, murdered in a drive-by shooting … Eli Stickley, 21, University of Wisconsin wrestler and 2014 Ohio state champ for nationally-ranked powerhouse Graham High School (and member of the legendary Jordan wrestling family), in a single-car crash in western Illinois … Jack Marsh, Jr., 19, former Eastern Michigan University wrestler, shot to death just east of the campus … Bryce Sheffer, 19, SIU-Edwardsville wrestler killed in an ATV accident … Elijah Lacey, 18, Lawrence Central wrestler, shot to death while sitting in his car in an Indianapolis parking lot on Memorial Day … Bailey Rush, 17, senior wrestler at Nashville’s Father Ryan High School, who drowned … Coby Stevens, 16, Canastota Jr.-Sr. High (New York), in a one-car accident … and Tommy Williamitis, 16, Dayton (Ohio) Christian wrestler, killed in a head-on car crash. To learn more about any of the individuals named here, simply type the person’s name + “InterMat” in your favorite search engine such as Google or Bing.